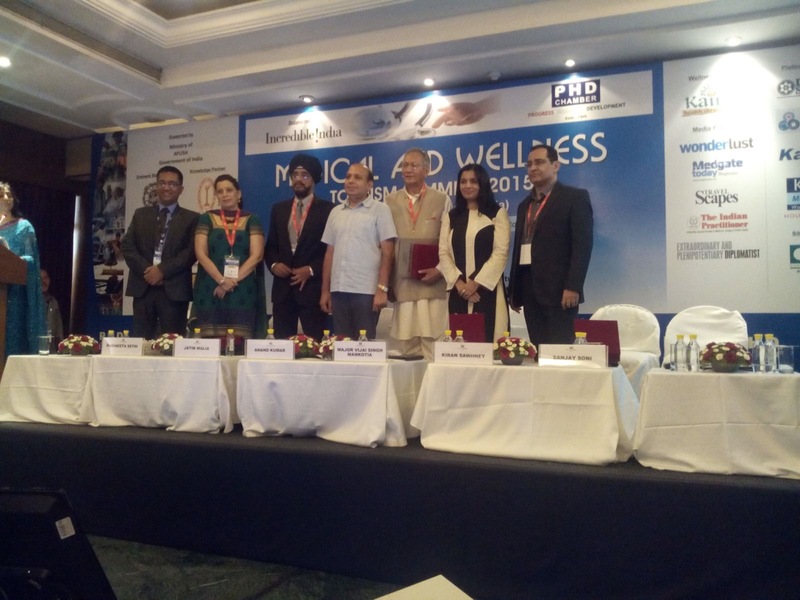 Today it was a Medical & Wellness Tourism Summit 2015 organised by PHD Chamber of commerce. You can see my last year pictures here. 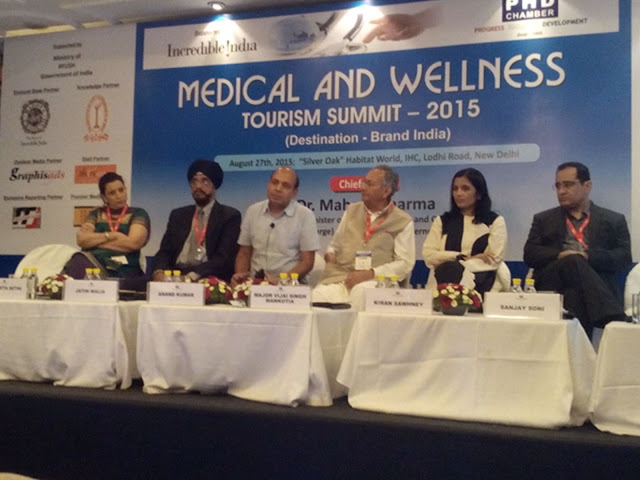 I spoke about the scope of medical and wellness tourism. 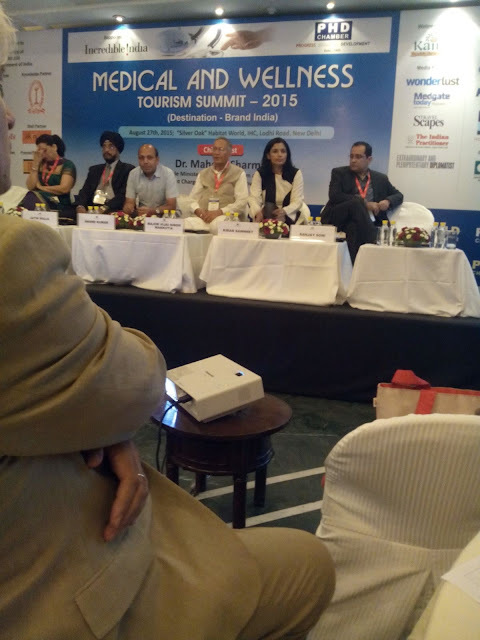 I spoke about Yoga, Tango and many other things. It is a topic close to my heart. 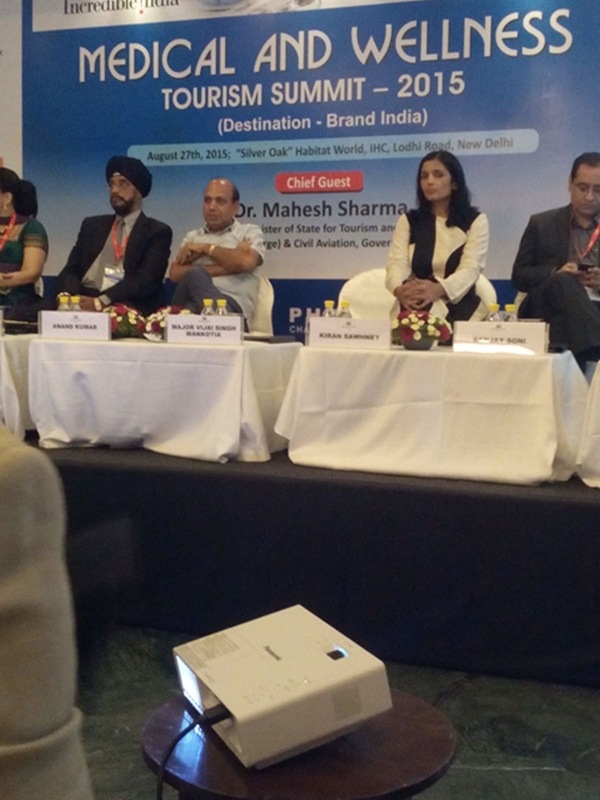 There is an interest in India as a prospective tourist destination and the main focus needed is a unique strategy to market India. 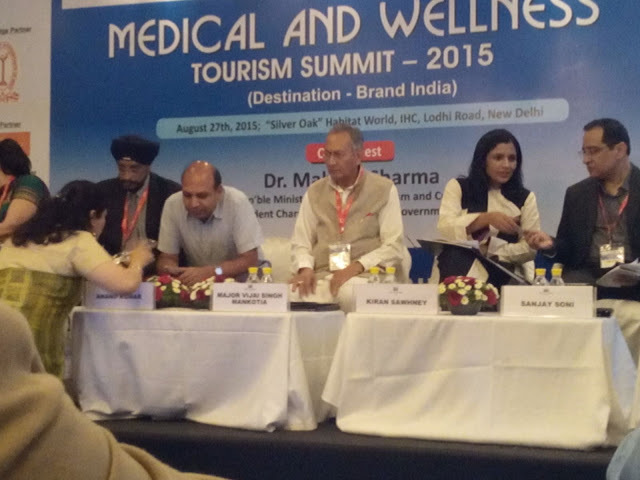 Marketing of tourism is a specialised skill and Indian tour-operators and the government together must take this up with the assistance of well-known international tourism marketing agencies. India needs to create a brand image of its own. Agree with you! 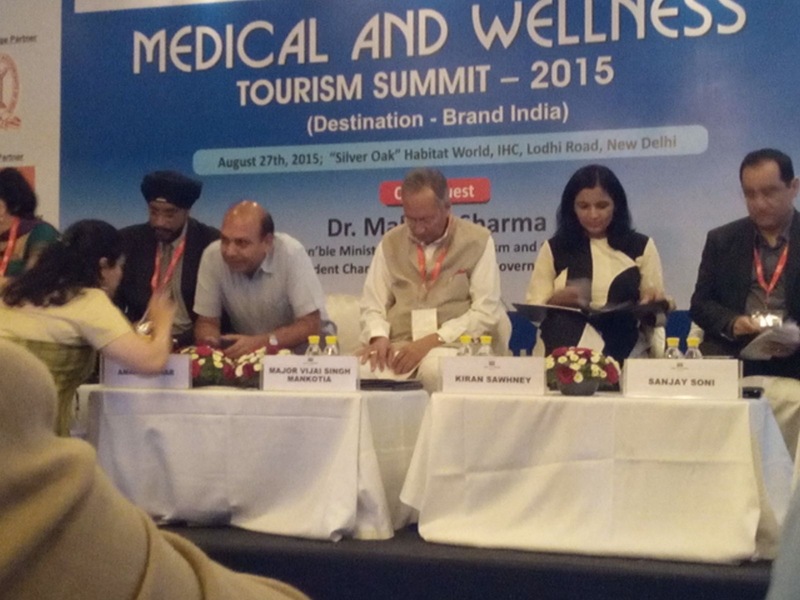 India is now seen as a hub for medical and wellness tourism. I met a lot of tourists at the Sadguru's ashram last time around, they had just visited to learn Yoga and meditation.